One of the most stylistic, professional and refined tenors of the century, Spanish tenor Alfredo Kraus passed away recently in Madrid after a long and outstanding career in the world of opera. The Kraus personality gravitated between two poles. On one side the tenor of Mozart and on the other side the lyrical tenor of Donizetti, Verdi but above all of Massenet by incarnating a sublime Werther. His vocal style recalled Dino Borgioli and his interpretive style recalled Tito Schipa in the sense that it asserted a musicality of great taste more than psychological and dramatic development of the character on stage. His performances at Salzburg and Karajan’s preference and sponsorship attested to his soft, sweet but limpid, penetrating and yet rigorous singing. Alfredo Kraus Trujillo was born at Las Palmas de Gran Canaria on 24 November 1927, the third of three sons and a daughter to Otto Kraus, a Spanish journalist of Austrian descent, and Josefa Trujillo, a local girl. Alfredo spent his youth quietly at Las Palmas, in a provincial society dedicated to cultural and musical activities, particularly opera. Otto and Josefa Kraus went regularly to the local theatre to see operas featuring at times famous singers who used to stop at the Canary Islands on their sea journey to Latin America. In their home, it was usual and enjoyable for the Kraus family to sing operatic tunes with piano accompaniment. Alfredo voluntarily joined the school choir, received voice lessons privately and showed keen interest in opera and zarzuelas at the Las Palmas theatre. In 1945, he started a three years electronic course at the faculty of Engineering. The voice of the Danish tenor Roswaenge and radio broadcasts by famous Italian singers, Beniamino Gigli, Maria Caniglia and Gino Bechi deeply impressed the young Alfredo. He also sang as a second tenor with the local philharmonic choir well applauded by the locals, who soon talked enthusiastically about Alfredo’s uncommon vocal talent. This fact drove Otto to ask his son to consider taking on serious singing at the completion of University. Alfredo agreed without hesitation, since he had already decided to embrace a singing career. Soon the choice of a suitable repertory for Kraus became an issue. Llopart felt that Kraus’ voice, endowed with a lot of timbre, would be suited to lirico-spinto roles in small theatres. Hence, Kraus studied Tosca and Manon Lescaut scores. The sound was beautiful but the voice became strained. On the other hand, he never got tired when singing Rigoletto. In the end, Llopart agreed that Kraus should keep to lirico-leggero roles, at least at the beginning. Throughout his entire career, Kraus made full treasure of his early experience and kept rigidly to a repertory, which would exalt the exquisite style, characteristic colour and expressive strength of his lyrical singing. His motto was: ”Never take a step longer than your leg”. 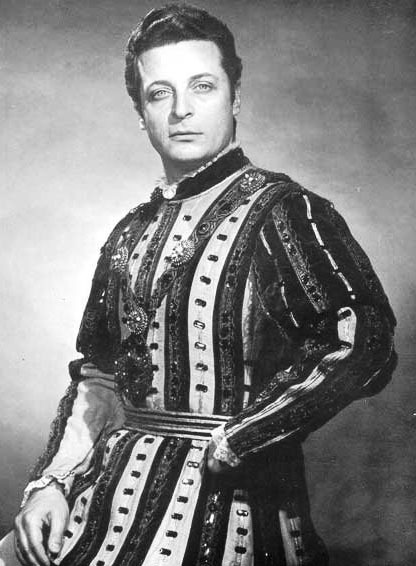 In early 1956, Kraus made his operatic debut in Cairo, Egypt, as the Duke of Mantua in Rigoletto, co-starring Anna Maccianti (Gilda), Enzo Mascherini (Rigoletto), and Cavaradossi in Tosca, with Luciana Serafini (Tosca) and Piero Guelfi (Scarpia). Kraus recalled that his lirico-spinto of Cavaradossi was a success in the Egyptian small theatre and orchestra. In a large theatre and orchestra, his voice would have had to open up and lose its characteristic colour. There was another performance as Cavaradossi in the small theatre of Cannes, France, after which Kraus never sang again the famous Puccinian role. 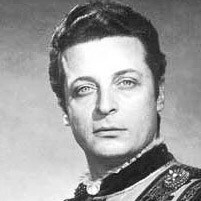 In mid and late 1956, he was Alfredo in La Traviata at Venezia and Torino, a role that made him known and popular throughout Italy of the late fifties. After November 1956, the study of new scores and singing on stage became very frequent. In 1957, the debut in Falstaff, in 1958 as Alfredo in Traviata co-starring the great Greek soprano Maria Callas for the only time ever. Callas, as Kraus recalled, was a terrific woman and colleague. She showed an incredible kindness and insisted that he be with her to receive enthusiastic accolades at the end of Act II. 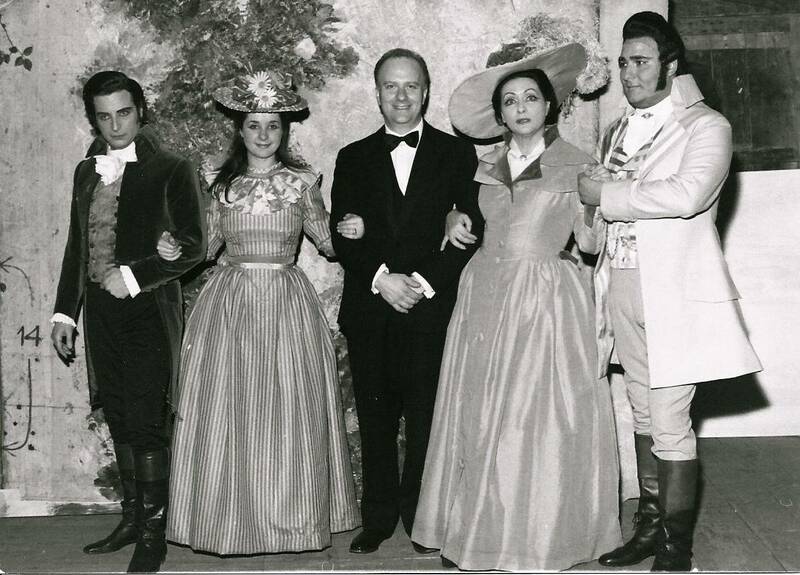 In 1958, the debut in Don Pasquale with Renata Scotto, in the Pearl Fishers with Gino Bechi and in Marina, a zarzuela of Pascual Juan Emilio Arrieta y Correra. Kraus thought highly of zarzuelas, which he kept singing during recitals. At the end of a triumphant concert in Florence with a program entirely dedicated to music of his land, Kraus remarked: ”Zarzuelas are music little known in the world and unjustly so.” In 1960, as Pinkerton in Madama Butterfly and Verdi’s Requiem for the only time, in 1961 debut in Puritani, in 1962 in Favorita and the United States. Debut in Elisir d’amore at the Met in late 1962, L’heure espagnole of Ravel and Carmina Burana of Orff at Chicago in late 1965. 1965 was a significant year in the career and life of the great Spaniard. Kraus made his debut as the poet in the principal role of Werther, with Anna Maria Rota as Carlotta and Franco Bordoni as Alberto. The venue was the Teatro Municipale di Piacenza, Italy. In a memorable night, he encored the aria of Act III, “Pourquoi me reveiller”. Kraus showed an extraordinary vocal and scenic affinity with the tragic hero of Massenet. In the ensuing years, his role interpretation of Werther was complete, reaching a perfect union of elegiac intimacy and passionate ardour, destined to enter history and gain him fame all over the world, following Tito Schipa’s example. However, Kraus confessed that, as a modern tenor, he identified himself better in the role of Traviata’s Alfredo and equally in those of Arturo, Edgardo, Fernando, Hoffman, Nemorino and Tonio (Figlia del reggimento). In the summer of 1968, Kraus was at Salzburg, invited to sing in Don Giovanni by no other than the very famous orchestra conductor, Herbert von Karajan. For Don Giovanni, Karajan had assembled a stunning cast: Nicolaj Ghiaurov in the principal role, Gundula Janowitz, Teresa Zylis-Gara, Mirella Freni, Geraint Evans, Rolando Panerai, Martti Talvela and Alfredo Kraus. The tenor’s collaboration with the Austrian conductor was interesting because they shared the conviction that role characterization in all Mozart operas lies in the recitatives. Kraus said: “They should be executed “all’italiana”, with the correct expression so that audiences may understand what goes on the stage. This belief is in contrast with that of many conductors, Mozart music celebrated readers, who frequently forget that also the recitatives exist”. Kraus became worried when Karajan asked him to exercise nothing but recitatives for three weeks. After querying him, Karajan replied: ”Do not worry about arias. I know how you sing.” Kraus returned to Salzburg the following year, but refused to participate at the Festival for the summer of 1970. He explained to Karajan that he had already made two exceptions to be at Salzburg in summer, depriving his family of their vacation season. Karajan understood and paid him an open tribute of esteem: “Be aware that I have great respect for you and your art.” They parted very cordially as usual. They never worked together again. The seventies and eighties coincided with a larger repertory embracing new operas by Donizetti such as Linda di Chamounix, La figlia del reggimento, Lucrezia Borgia and French opera such as Contes d’Hoffmann, Romeo et Juliette, Lakmé as well as an intensification of old roles such as Werther, Des Grieux, Nadir and Faust. Kraus’ popularity in Italy increased considerably with the marketing of a series of records of the early sixties in the wake of a biographical film on Julian Gayarre, the great Spanish tenor, with a rich sound track of operatic highlights and Spanish songs. It is worth a mention here that José Carreras also portrayed Julian Gayarre in another film entitled Romanza Final. Many zarzuela selections and a full opera, The Pearl Fishers, featured in long playing operatic records, later marketed by a record company, Carillon Records, and distributed in Italy by the House of Giancarlo Bongiovanni. An important contribution to Kraus’ fame was his Werther of early 1976 at the Teatro alla Scala, repeated in 1980 with Elena Obraztsova, Daniela Mazzuccato, Alberto Rinaldi and in 1984 at the Paris Opera with raving press reviews. Progressively more frequent were his appearances in Vienna, London, Paris and South America, especially at the Colon of Buenos Aires, where Kraus recalled: “During a performance of Favorita, my rendition of ‘Spirto gentil’ was acclaimed for 10 minutes by the audience who demanded an encore”. In Vienna, Kraus became one of the most favorite singers of the very warm local public, who openly applauded wherever he made an appearance even as a spectator. As from 1988, his name figures in the golden album of the Vienna Opera Kammersanger. Spain, France and Italy bestowed more honours upon him. As the years went by, Kraus reduced the number of operatic performances to 20-25 a year, and increased his appearances on the concert stage. He never missed his summer holidays at his splendid villa of Lanzarote. Kraus was still active in the early to mid nineties, at nearly 70 years of age, singing with the usual correct technique, style, personality and “musicalita’”. Shortly before his death, he sang Lucia and Werther with unchanged voice and phrasing. He passed away on 10 September 1999 in Madrid. From an interpretative point of view, critics accused him of being unconvincing as a role maker early in his career, lacking participation to the stage events, incisiveness and robust expressive depth. Kraus acknowledged that he had dwelt more on technical perfection than character study. He was able to put remedy to his interpretative shortcoming in Lucia and Puritani, by giving a great and noble deportment to the characters of Edgardo and Arturo of almost heraldic proportions. Later on, in the seventies, he brought complete maturity to his roles, especially those of Des Grieux (Manon) and Werther.